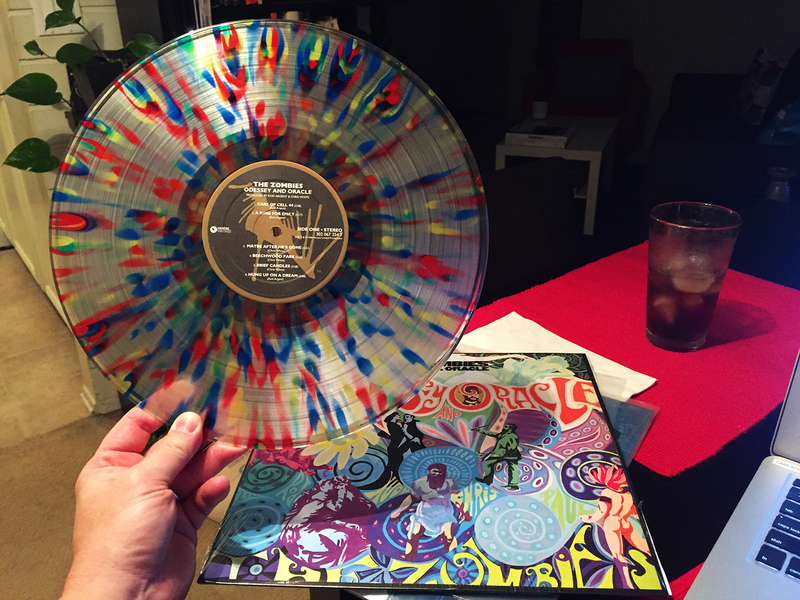 That’s the official vinyl color for this recent pressing (May 25th) of Odessey and Oracle by British chaps, The Zombies. Technicolour Explosion. (Yet) another Newbury Comics exclusive (limited to 1000 copies), this gorgeous reissue feels like 180 gram vinyl, though this perk isn’t noted anywhere in the item’s description. This is now our third version of this essential album, with (at least) one more to come… the US alt cover reissue from 1969.